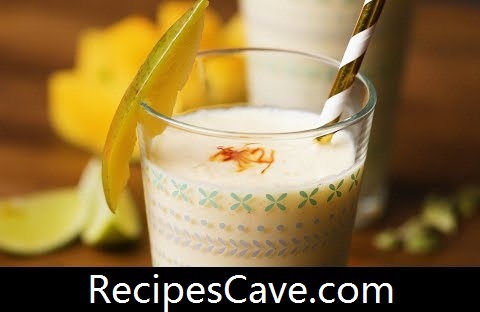 Here is the way to cool down with this Fresh Mango Lassi on this summer season. Its very easy to do just simply follow these steps how spelled here. At first put the mango, yogurt, milk, sugar and cardamom into a blender and blend for 2 minutes. Now if you want a more milkshake consistency and it's a hot day, either blend in some ice as well or serve over ice cubes. Sprinkle with a tiny pinch of ground cardamom to serve. So after the time gone then you can start taking the taste of your Fresh Mango Lassi.